At Bar Convent Berlin for example, there were just as many bourbon exhibitioners than there were scotch and there is a serious opportunity for American whiskey producers to accomodate the thirsty Europeans. The Kentucky Bourbon Festival took place in September and Drinks International was invited stateside to visit Luxco’s new distillery, Lux Row Distillers, currently under construction. 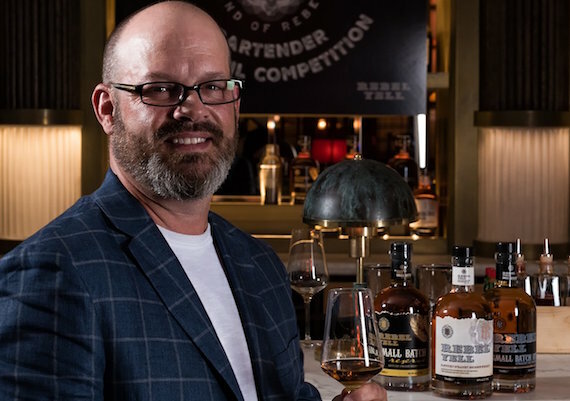 The winner of the Rebel Yell Band of Rebels cocktail competition, Michele Reina joined DI and a representative of distributor Cellar Trends on the trip through the original home of bourbon. Luxco is one of the leading alcoholic beverage companies in the US responsible for more than 70 different wines and spirits, but the new distillery, located in Bardstown Kentucky, will be the home for its range of American Whiskeys. The new $40m distillery will produce Rebel Yell, Blood Oath, Ezra Brooks and David Nicholson bourbons and will begin distilling on January 1, 2018. The construction began on March 16 and right now Lux Row Distillers is on the home straight towards completion. 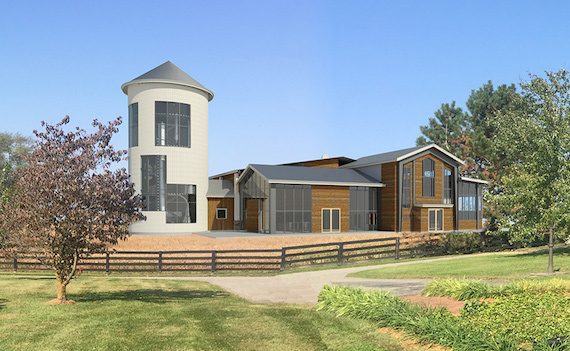 The state-of-the-art distillery will have 12 tankers capable of holding 8,000 gallons of mashbill for distillation and master blender at Luxco John Rempe, believes they will produce 20,000 barrels of bourbon a year on the new site. The distillery will employ 32 employees in total with half working on production and half working in merchandise and tour guides. “I think it’s very important to have guided tours,” said Rempe. “Not only are we very proud of the new site but it’s a great way to gain exposure. Once you go on a distillery tour you become a fan of the brand, especially if it’s a good tour. On the Lux Row site there will be one rick house able to store its 20,000 barrels of bourbon and any waste retained from the production of the whiskey will be used as cattle feed in the local farms. This year there were 15 different distilleries taking part in the Kentucky Bourbon Festival including Lux Row Distillers and other household names such as Buffalo Trace, Jim Beam, Bulleit, Maker’s Mark and Wild Turkey. Each distillery on the trail has a different way of producing and ageing its whiskeys and the level of enthusiasm of each tour guide, master distiller or honest bourbon fan is inspiring. But it isn’t all about volumes of production that points to success. Lux Row Distillers will have a visitor centre, tasting room and depending on final planning, a social space for events will be available to hire. The company hopes to raise $60-80,000 per year on merchandise alone. The systems already in place for distillation are thoroughly planned to finite details. For example their base grain will be tested six times to ensure consistency before it is even unloaded from the truck, and due to the access of local resources, Lux Row can have another truck delivered within 15 minutes if the first batch is not up to standard. The local limestone water is another resource cherished by bourbon producers in Kentucky. “The water here in Kentucky is influential in the production of our bourbon because without the rich nutrients within the water, the yeast would not react and we couldn’t make any whiskey,” added Rempe. Throughout the festival there are a variety of events hosted in Bardstown by different distilleries, and Lux Row used the festival as an opportunity to educate people on their new project and the flexibility of bourbon. For example, they held a seminar on the role of bourbon in the cocktail world and different techniques which could be used in their own homes to enjoy bourbon. During the week-long festival the new distillery was added to the roll of honour on the Bourbon Capital Compass at the Bardstown-Nelson County Welcome Centre. The compass maps significant bourbon distilleries from the centre of bourbon’s origin and the executive members of Luxco were invited to install a plaque on the walk of honour. Luxco also owns the Limestone Branch distillery in Lebanon, Kentucky which is under the watch of Steve Beam, a seventh generation family member of the legendary bourbon name. 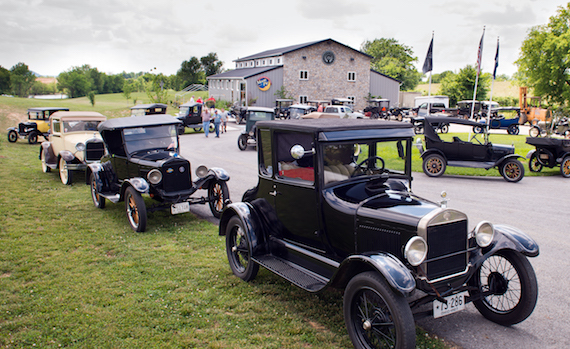 The Limestone Branch distillery is rumoured to be the birth place of the Mint Julip and is steeped with history from the inter-distillery baseball tournaments to the birth of bourbon itself. Some bourbons, in fact, still use the same original yeast formula today that Jacob Beam used to distil his whiskey with back in 1795. As bourbon continues to make inroads in Europe and especially the UK, Luxco’s timing could prove impeccable. Once the company’s brands move into its new home, Rempe will be able to create individual expressions and with the work of its UK distributor Cellar Trends, generate a more international audience. “We’re going to have a lab on site to experiment with new formulas as well as concentrate on our current ones,” added Rempe.